This is a Bass Solo on a Jazz Rendition of the tune "I Don't Want to Set the World On Fire". Atlantic City, NJ festival, where Christopher Dean Sullivan's Jazz Journey project was the Headliner. 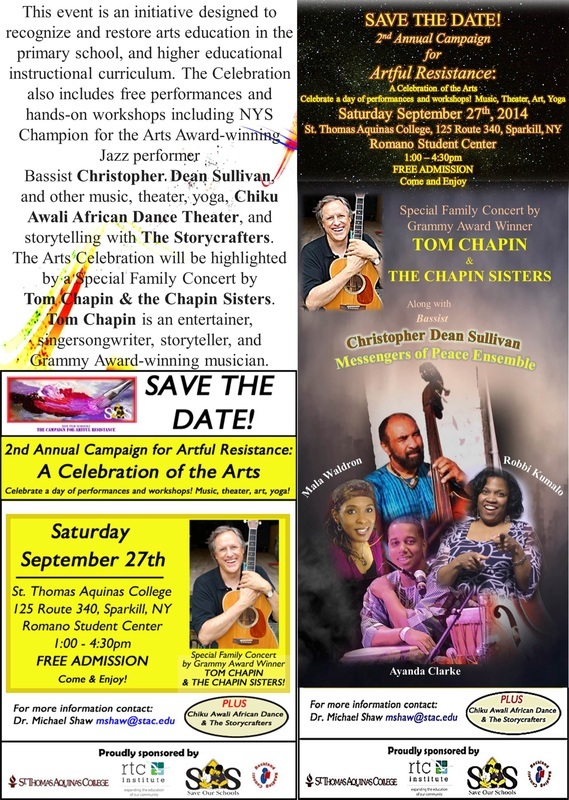 ​Performing with Mala Waldron on piano, Angel Rose vocalist, and Bobby Sanabria drums. 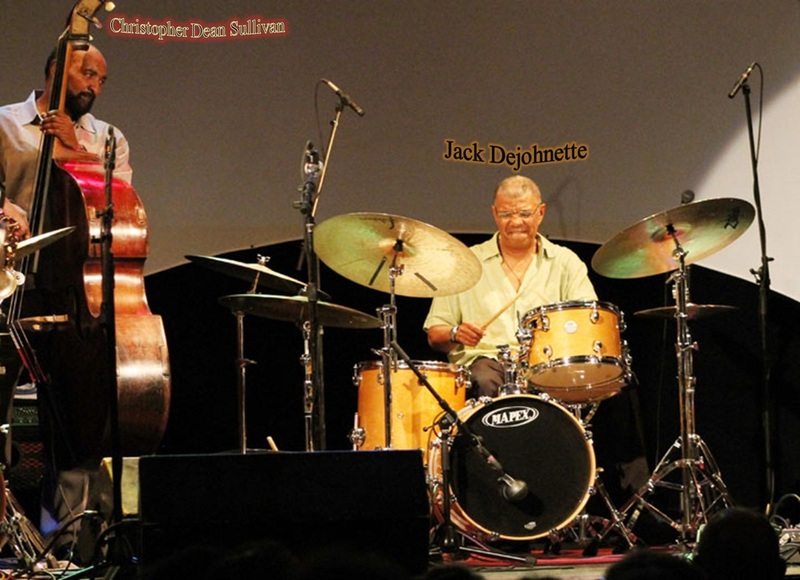 ​Israel “Cachao” Lopez, Stanley Turrentine, Johnny Lytle, to name a few. Christopher’s discography is varied, covering 45’s, albums and CD’s. Christopher Sullivan has appeared in TV commercials and movies; the original “Dawn of the Dead”, and “The Fish That Saved Pittsburgh”, as well as photo shoots for magazines, such as Vanity Fair with Grammy Award winner Janet Jackson. 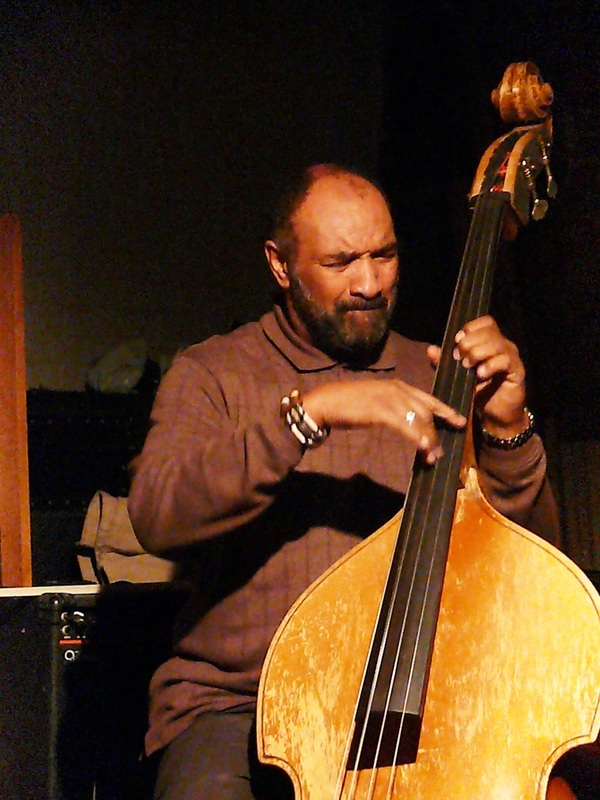 In Pittsburgh, PA, Christopher Dean Sullivan produced and hosted his own Warner Communication Award winning television show “The Tree of Arts Alive”, which became a component of The Jazz Workshop Inc., where Chris was also a bass and music theory instructor, under the directorship of founder and saxophonist, Harold Young Sr. The award was presented for the best in culture and arts programming. 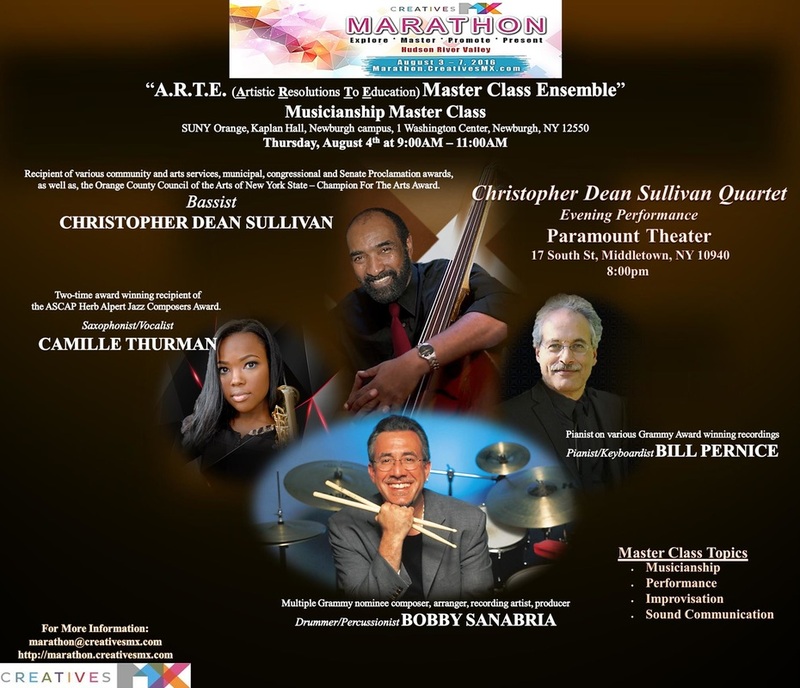 Mr. Sullivan continues to work and collaborate with the Jazz Workshop Inc. Chris Sullivan continued to received various New York State community and arts services, municipal, congressional, NYS Assembly Merit, and Senate Proclamation awards, as well as the New York State Orange County Arts Council Champion for the Arts Award. Mr. Sullivan acquired his Family Development Credential (FDC) through Cornell University; he created and facilitates character development and conflict resolution programs for public schools and other instruction / educational institutions in Pennsylvania and New York States. 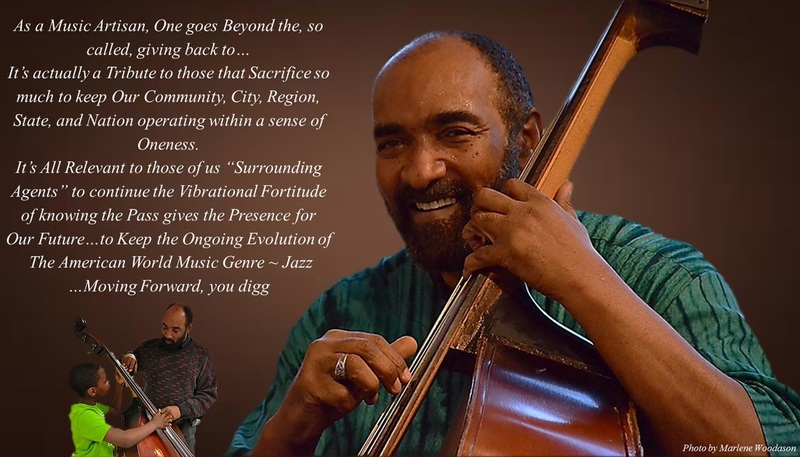 This program is intertwined, as a component, in his music and consultations, based on understanding the psychology of sound and vibration. Clinician / Consultant / Resource Coordinator for The Jazz Workshop Inc., Pittsburgh, PA Christopher Dean Sullivan also leads his own music ensembles and projects, performing traditional jazz, tributes, original compositions, and contemporary music with jazzy R&B flavors. He continues to perform within the American World Music Genre. NAACP Staff Advisor Award, Woodbourne Correctional Facility, NY. Partial List of festivals the venues Christopher Dean Sullivan has performed with his own ensembles and others. * Yoshi’s Jazz Club, LA Cal. * Seabreeze Jazz Festival, FL. * Flint Jazz Festival, Flint MI. 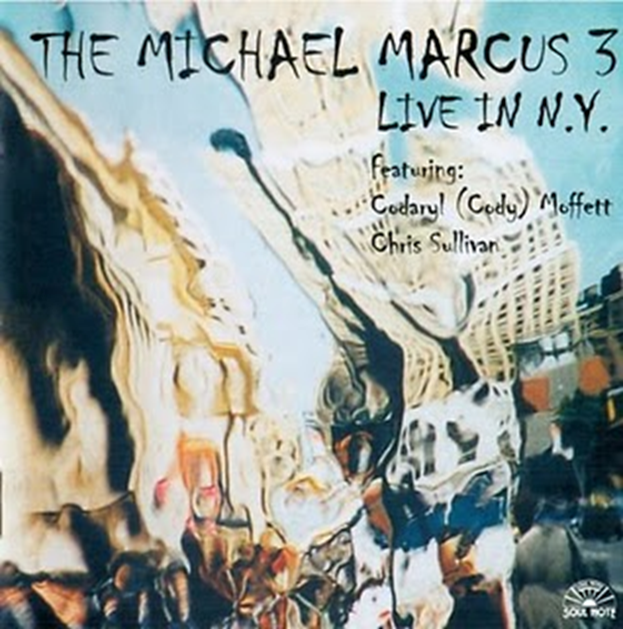 Various other Jazz and R&B venues through the US and abroad. 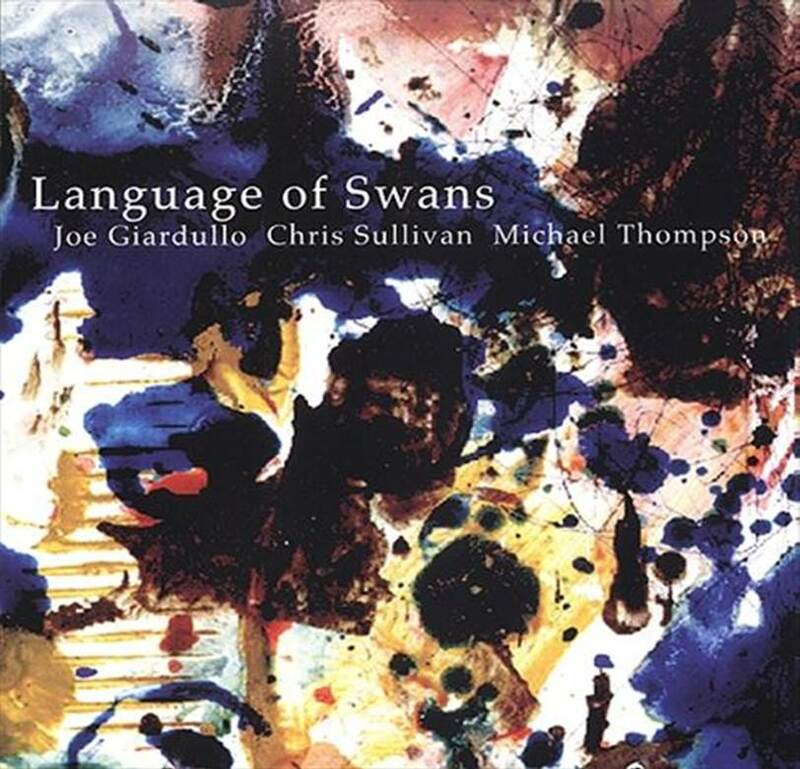 Michael Marus, Joe Giardullo, Billy Hart, Carl Grubbs, Eddie Henderson, Sheila Jordan, Alan Glover, Bob Gluck, John McLean, Paul Wertico, Roy Campbell, Poets; E.J. Antonio, Golda Solomon,...and others. 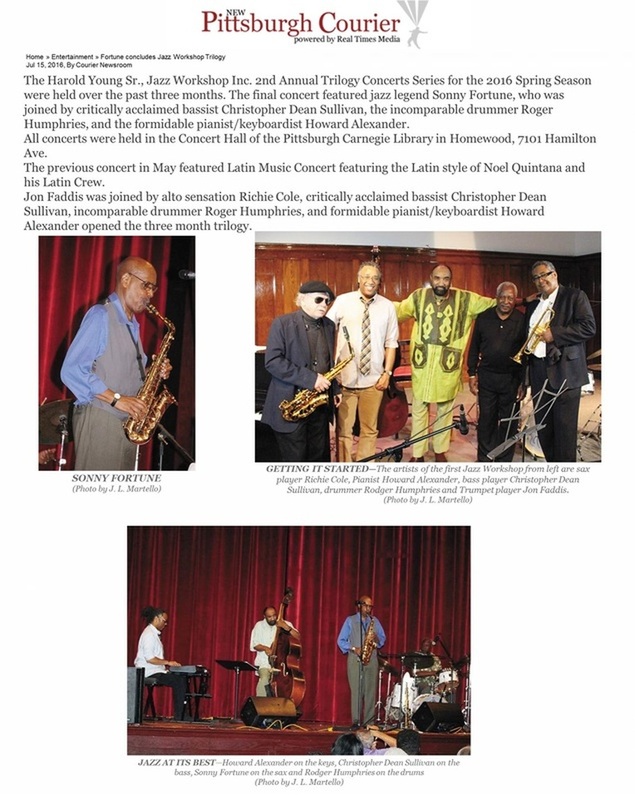 He also coordinates and produces musical tributes, such as Tribute to Dinah Washington featuring Lillie Bryant-Howard, Tribute to Freddie Hubbard, and others. 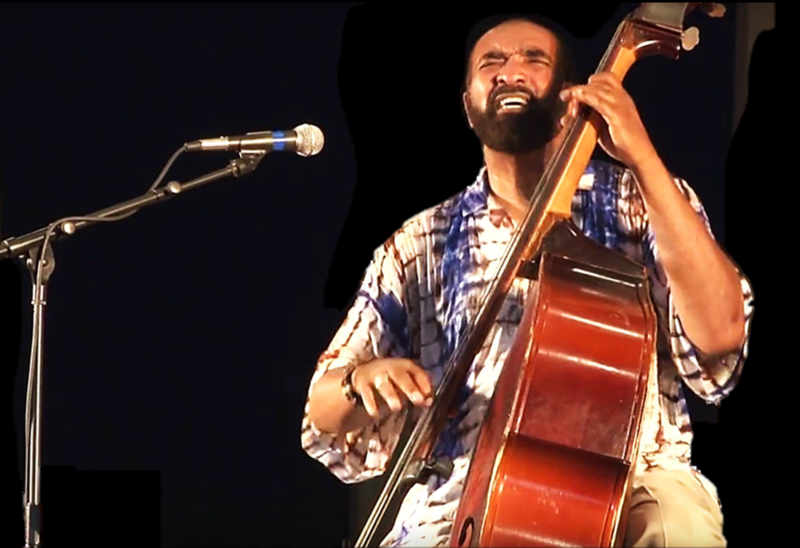 He also performs with open compositional ensembles with spoken word artist. 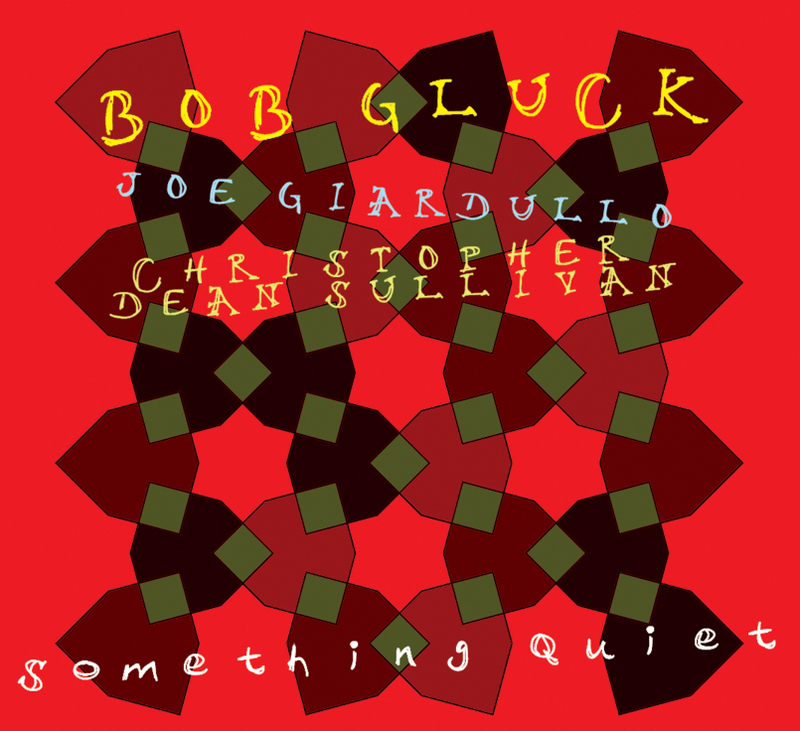 (think Charlie Haden, somewhat) bass tones." "Sullivan's bass solo on this piece is a full expression..."
instead of enslaving to and letting dissipate." 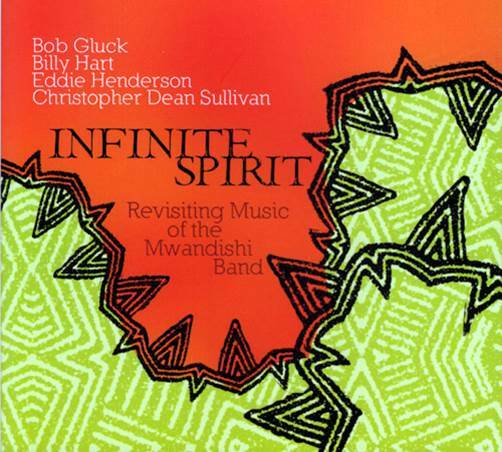 …“Spirit Unleashed” that was arranged by bassist, Christopher Dean Sullivan…Sullivan gets to feature his bass chops on this tune before Henderson and Hart join in with their trumpet and drum mastery. This arrangement puts me in a space of ‘Sketches in Spain’; that kind of groove and freedom is infectious. Here is definitely music for our “Infinite Spirit”. The social and cognitive issues that plague our societies, neighborhoods, communities, and regions today are placing the children and young adults in a quagmire of dismay and confusion. There are children that are disenfranchised for real social education, not understanding that the future lies within them. This is based on not having a sense of their heritage, not knowing where they come from perpetuates the loss of where they are going. Thus bullying, aggressive behavior, lack of motivation, exercising manipulative reasoning, rudeness, and other components of discord becomes the life style. The parents of these youths are feeling helpless because of the continuing pressure of keeping up within all that they are being bombarded with, such as; bills, CPS regulations, new aspects of educational directions as the common core curriculum, influences outside the home that seeps into their lives on a regular bases, that subliminally effects their wandering behavior around their children, and not able to focus on themselves as role models. Statistics on all levels show that 70% of children born and raised in urban areas are to single mothers. There are divorce rates of over 60 %. Degradation of the social system is geared towards promoting provocative practices of young girls, and young men whose language skills develop at a decelerating pace of falling through the cracks. This, as well as relevant subliminal stimuli, has shown the reason for increased medication, incarceration, continual increase in crime in the neighborhoods, increase in school suspensions and failures, murders among youths due to gang and initiation violence. The Jazz workshop Inc. has developed a program initiative towards giving Parents and their children outlets to express themselves constructively, while simultaneously explore the social, cognitive and creative aspirations that allows them to think of their future. We are dedicated to working with the parent and/or guardian, on understanding the various stages of their child’s growth and assisting the parent in recognizing the affects that outside influences have on them and their child’s daily development. This program would offer counseling sessions in Character Development and Conflict Resolution, and marriage and relationship issues, as well as workshops in Community and Family Development. The program will prove to be beneficial to the child academically, socially and creatively and give to the parent/guardian and community surrounding agents a sense of ongoing support. In order to adjust this paradigm we would develop and go into learning institutions; Elementary, Middle and High Schools, to directly address the fore mentioned behavior instabilities, as well as collaboratively work directly with school districts; doing PD’s, after-school programs, parent workshops…etc., as well as collaborate with community CBO’s, census bureau’s, the business community, health clinics, police and parole departments, DSS, state/local governments and elected officials. The Jazz Workshop after-school program is based on a set of coherent activities with a final goal and one or more programmatic objectives, and which seeks specific resources (human, financial, material) available to achieve the objectives and contribute to the attainment of the goal. The Jazz Workshop after-school program is designed with one mission in mind - Provide students higher learning education through an arts medium. The Jazz Workshop provides students the opportunity to extend their branch of academic learning, and Character and Cognitive Development through exposure to the performing arts. Avenues include: Music, Drumming, Dance, Spoken Word, Graphic Art design, video/photography, Acting/Theater, and other various specific arts forms that would be deemed vocational such as Journalism, Sculpture Building, Mask Making, Knitting, Fashion, Computer Gaming, and Studio Recording/Production. Daily Literacy, Science-Technology-Engineering-Arts-Math (S.T.E.A.M. ), Leadership with a mentorship component, and necessary Homework help is incorporated within the art disciplines. This fusion allows each child to explore their creative aspirations while retaining academic knowledge for long term success. Discussions in character development and conflict resolution are an integral component of the instructional approach. This gives each student a complete and wholesome understanding of their development as creative individuals, and provides the opportunity to work with the parents and community at large to be a significant part of their meaningful growth. Interactive clinics, workshops and residencies will follow the American World Music Genre...Jazz, and other musical art forms and genres from its origins in the United States through its journey and integration throughout the world and will feature DVD presentations and master class interactive demonstrations. Clinic curriculum is designed according to the availability and space provided. Below is general information and format for all classes and grade levels as well as a 2 to 3 week music camp. 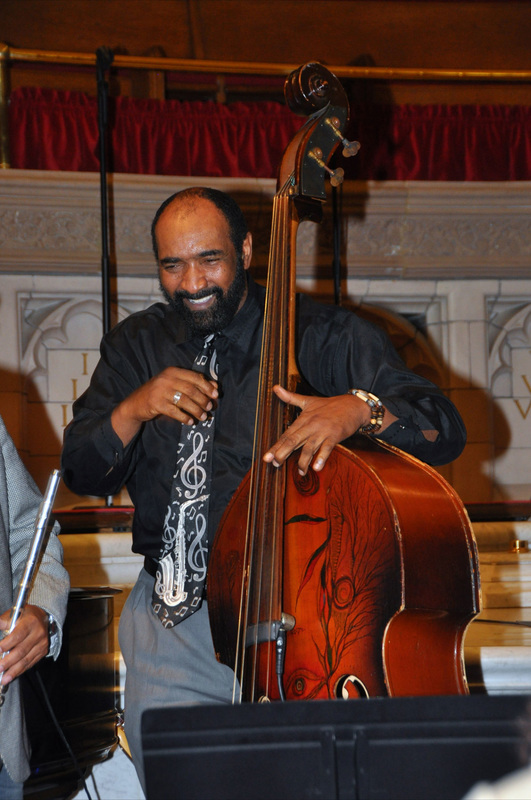 The Jazz Workshop Inc. is a 501c3 organization and has been operating over 40 years. Interactive music assemblies are conducted to educate students and staff of the American World Music Genre ~ Jazz. Demonstrations are done through performance and commentary between musical pieces. Discussions of the impact of sound and vibration in music of various genres, and how other world music is intertwined within the jazz improvisation approach. There are opportunities for music students to join in on a musical composition as well. The goal is to develop the natural talent and lead the participant towards a direction of their own, positive, desire. This program will define the impact on the novice through the professional instrumentalist and/or vocalist. How far and quickly one accomplishes their goal is solely up to the individual and how diligently and consistent the participant practice the lessons given. 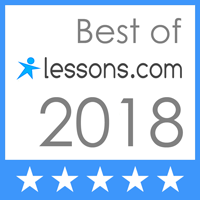 One will learn the Fundamentals, Cultural Scale Structures, Chord Structures, Single Note Reading and Rhythms, Various Tunes, Improvisation, Various Styles, Writing, Orchestration, Time Signatures, as well as aspects of how the Psychology of Sound and Vibration affects every day behaviors and activities. The business of music is very much essential to the camp clinics and is offered during the master class sessions. 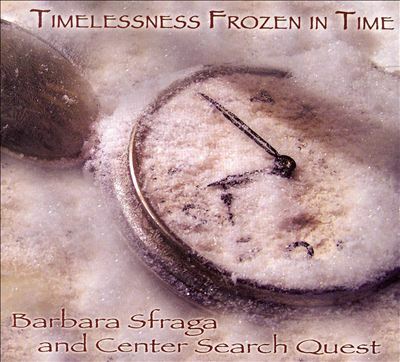 Music of all genres, in many ways, has allowed us to become open towards understanding various aspects of the cultures that intertwines us, as well as, subliminally continuing to develop the character that lies within each one of us. · Performing in a Duo, Trio, Quartette, etc. Music mission is to promote and produce the continual growth of artistic awareness and appreciation within communities by unifying expressive musical art forms. The program will provide an accessible performance and instructional prowess for artists and art appreciators to join together for performances, gallery exhibits, lectures, workshops and showcases in an atmosphere appropriate for families and the youth of the region. 3 Week Music Camp Interactive clinics will follow the American World Music Genre...Jazz, and other musical art forms and genres from its origins in the United States through its journey and integration throughout the world and will feature DVD presentations and master class interactive demonstrations. Clinic curriculum is designed according to the availability and space provided. The following is the general information and format of the 2 week music camp: What Is Covered: Presenting and performing with ensemble, Arranging, Instrument Fundamentals, Call and Answer, Blending-(feel the sound through visualization), Natural Voice Harmony, Syllable-izing, Scale Scatting-emulate the instrument, Melodic Rhythm Scatting, Choral Ensemble Instrumental and Vocal Ensemble, Business of Music, and Production. when the behavior brings about consequences that works against constructive understanding. The problem with this and other types of relevant behavior is the lack of understanding their position in life. Understanding how behavior is affected through the Psychology of Sound and Vibration the student, parent and teacher come to understand how various stimuli affect the thought process that brings about particular behavior during the growth and learning cycle of parent and child, as well as school staff. This program will give Students tools to understand themselves as well as others. The program will also prepare them with the coping skills on what to do in various situations that will confront them during these formative years while at the same time give valuable information to Parents, Teachers and Support Staff. The following is an overview of the E.V.O.L.V.E. program and some of the tools that will be used and points addressed. character building is becoming an essential part of the educational process. The E.V.O.L.V.E. program will always bring the student back to self. The E.V.O.L.V.E. program goals are to continue a focus on self-image, decision-making, assertive skills, and social and communication skills along with managing and understanding stress levels. The program’s objective is to consistently make aware and show the student the relationship of the various behavioral patterns induced by outside stimuli such as sounds, substance usage and other promiscuous activities as well as interpersonal relationships and roles of bystanders. The E.V.O.L.V.E. program will continue throughout the school year, 10 months, once a week to 4 times a week, depending upon category of focus as well as the needs that are to be addressed. When students have entered into the program, they will be monitored weekly, bi-weekly or monthly, determining parental involvement. This will help to insure the promotion of a continual constructive school climate. Give the tools needed to deal with a variety of situations faced in an Elementary, Middle, or High - School setting, as well as in life within the community. This will include the skills to eventually make these decisions independently, helping students, parents and staff to become trusting and comfortable reaching out by communicating appropriately with others. Utilize the appropriate support personnel and programs already in place at the school and in the community, direct students and parents to a support network of organizations and individuals, such as a mentor and/or other constructive idioms. Provide the tools needed to become productive members of society. Initiate Motivational Groups (with regard to academic performance and attitudes within the classroom.) Understanding the importance in Respect for Differences. Conducting workshops for parents and school staff on trends, and what perpetuate the stimulus that may cause particular behavior. Character Development is very Essential to the Instruction. it always comes back to the original source: The Participant. INSTRUCTION/DEVELOPMENT each instructional period would last not less than 1 hour and not more than 1 hour, 45 minutes, unless it is directly relevant to the project currently in production. In such cases, instruction and project participation becomes one in the same.